The Lexus ES is a mid-size luxury sedan that prioritizes ride comfort above all else. With the ES, Lexus has a rival for sedans like the Volvo S60 and Nissan Maxima. With the latest ES, Lexus has stepped up not just its styling game, but also its handling. 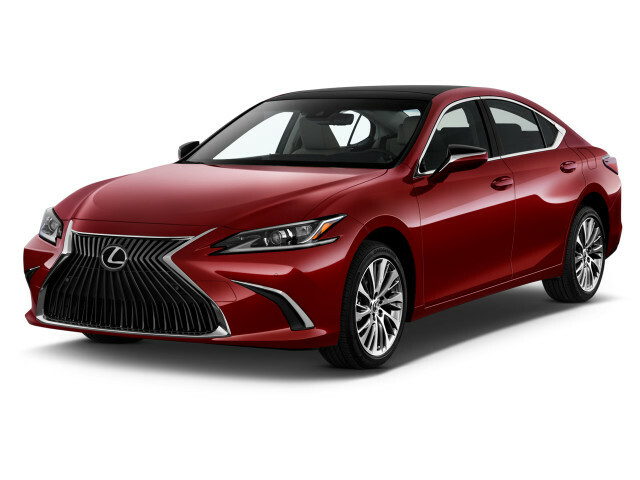 With the new 2019 ES, it sells the ES350 as its daily-driver premium sedan; the ES300h as the pretty hybrid; and the ES350 F Sport as the lineup's sporty choice. The sleek new shape is cohesive and sinewy, with a big spindle grille in front and inside, a wave-shaped dash with wide touchscreens for infotainment and some fiddly buttons that nestle in among its adventurous shapes. The drivetrains carry over, with power updates. The 3.5-liter V-6 now makes 302 horsepower in the ES350 and F Sport, up 34 hp and 19 lb-ft. They pair with an 8-speed automatic, and get a more contemporary tune to their independent suspension. 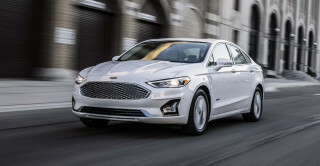 Base cars have a more assertive feel; F Sports get adaptive dampers, grippier tires, and a Sport+ driving mode that nudges the sedan even further into sporty territory. ES300h hybrids pair an inline-4 with batteries and motors for 215 hp net, and a combined EPA rating of 44 mpg. It's slower and less grippy, but a big achievement in big-car economy. The new ES sports more interior room, and excellent front seats, with spacious three-person seating in back. Trunk space stays the same whether it's a hybrid or not; a repackaged battery leaves storage space intact at 16.7 cubic feet. Excellent safety scores come with standard automatic emergency braking, and the Lexus ES now offers Apple CarPlay compatibility, too. A widescreen option with navigation suffers from Lexus' kludgy infotainment interface, but the supple leather and wood trim of the interior make up some of the difference. The previous Lexus ES made its debut at the 2012 New York Auto Show. The standard model was once again called ES 350 but for the first time it was joined by a hybrid model, the ES 300h. 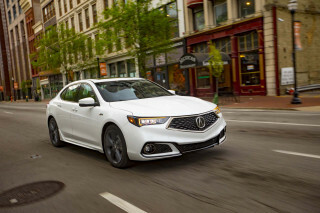 Both were introduced as 2013 models and share running gear with the Toyota Camry, but this time the ES had a couple of extra inches of wheelbase, providing more backseat space. In this generation, the ES actually had more in common with the Toyota Avalon, which was then based on a stretched version of the Toyota Camry's platform. The ES adopted a very sleek design theme. The interior carried a horizontal design similar to what was found in the contemporary GS sedan. It took a step down in the base model, however, with synthetic material replacing the formerly standard leather upholstery. 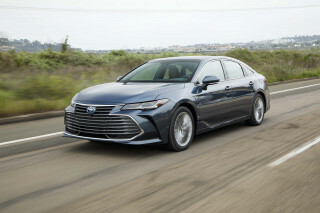 The ES also featured the latest safety and tech features that Lexus had to offer, including smartphone connectivity and a lane-departure warning system. The ES 350 sported a 268-horsepower V-6 and a 6-speed automatic, while the 300h used Toyota's 2.5-liter Atkinson-cycle hybrid and a hybrid system to achieve an EPA city rating of 40 mpg city, 39 highway, 40 combined; both were offered only with front-wheel drive. Thanks to a quicker steering ratio and tuned suspension, the ES models felt slightly sportier from behind the wheel without sacrificing passenger comfort. In a first drive of the ES 300h, we found it to be surprisingly as responsive as the 350, while far more fuel-efficient. The newfound sportiness didn't quite match other new Lexus models for all-out driving enjoyment, and there was no available F Sport model of the ES yet. The ES lineup changed very little into 2014. 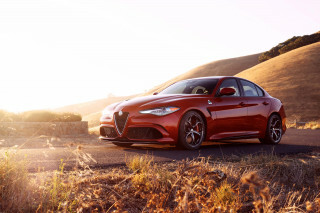 For 2015, it received upgraded infotainment systems, including a new around-view camera system, as well as an audio-buffer feature, enhanced apps integration, and a new touchpad controller for the infotainment system, replacing the odd mouse-like piece used previously. For the 2016 model year, the ES gained a new nose highlighted by LED headlights and a larger version of Lexus' signature spindle grille. In addition to the styling updates, the ES offered automatic emergency braking, active lane control, intelligent high beam headlights, and adaptive cruise control. For 2018, the ES lineup gained only minor trim changes and the extension of a 1-year trial period on Enform Safety Connect and Service Connect services to 10 years. The previous year, automatic emergency braking and adaptive cruise control was added as standard on all models, as well as a new app-based turn-by-turn navigation system and a desirable "back" button for its infotainment controller. First introduced for 1992, the Lexus ES 300 helped establish the Lexus name and won customers to the brand for its comfort, style, and reliability. Although the first couple of generations of the ES dabbled on the sporty side in some variations, with the third-generation ES that was introduced for 2002 Lexus focused the model even more toward mainstream luxury sedans. It was again called the ES 300 for its first two years, packing a 210-hp, 3.0-liter V-6. This model had an even roomier interior than before and included all the extras you would expect to come standard on a luxury car today; a navigation system and excellent Mark Levinson sound-system upgrade were among the options. For 2004, the ES was given a very slight refresh and new standard equipment, then was renamed the ES 330, gaining a 3.3-liter V-6 making up to 225 hp. Another redesign in 2007 brought with it another engine-size increase and name change. The powertrain changed to a 272-hp, 3.5-liter V-6, with a 6-speed automatic transmission, creating the ES 350. This ES had an even plusher ride than before, with excellent soft-touch and wood trim. A number of new tech features—including adaptive cruise control, automatic emergency braking, park assist, and adaptive xenon HID headlights—were offered for the first time in this model. While competent and luxurious, the ES was not for everyone. For instance, the styling was rather bland and not fit for those who wanted to be noticed. The car is also somewhat of an isolation chamber, for better or worse, keeping the occupants from the noise outside but also keeping all types of feedback from the driver. There was little arguing with its safety record, however. There were certainly plenty more upsides. 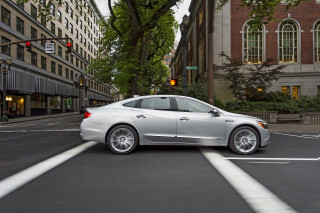 Resale value for the ES, no matter what the model year, has been top-notch; so has reliability. By far the best vehicle I've ever owned! I'm afraid to get rid of it. Ever! Great car, but I don't think I will ever fully understand the navigation/ information system.